Animal Kingdom Lodge is one of my favorite Disney World Resorts for a number of reasons. One of the main reasons is for it’s on-site restaurants. One of our favorite Animal Kingdom Lodge Restaurants, Boma, Flavors of Africa, has an amazing buffet twice a day. Those staying at Animal Kingdom resort can take advantage of going to Boma, Flavors of Africa for two different meals. They serve two buffet meals daily~ breakfast & dinner. No matter which you choose, you will not be disappointed at the quality of food at Boma’s buffets. The breakfast buffet features everything you could ever want. There are pancakes, French toast, waffles, an omelet station, freshly carved breakfast meats, and a vast amount of pastries. There are also traditional African dishes like corn beef bobotie that you can try. Something else that sets Boma, Flavors of Africa apart from the rest is that you can get Kenyan coffee (yeah, no Jeffery’s) and a juice that is similar to the POG at Ohana. If you enjoy having some variety for dinner, Boma, Flavors of Africa is the place to go. The Boma dinner buffet is pretty extensive with nearly 50 different items to choose from. You will find all sorts of fresh carved meat stations, seafood and a nice variety of vegetarian dishes alongside of traditional African dishes like Bobotie and Fufu. Have a picky child with you? Dont worry. Picky kids will find some of their favorites like chicken nuggets and macaroni & cheese on the buffet. If you love soup, you will find half a dozen to choose from including a seafood gumbo and Coconut-Chicken-Curry at Boma, Flavors of Africa. 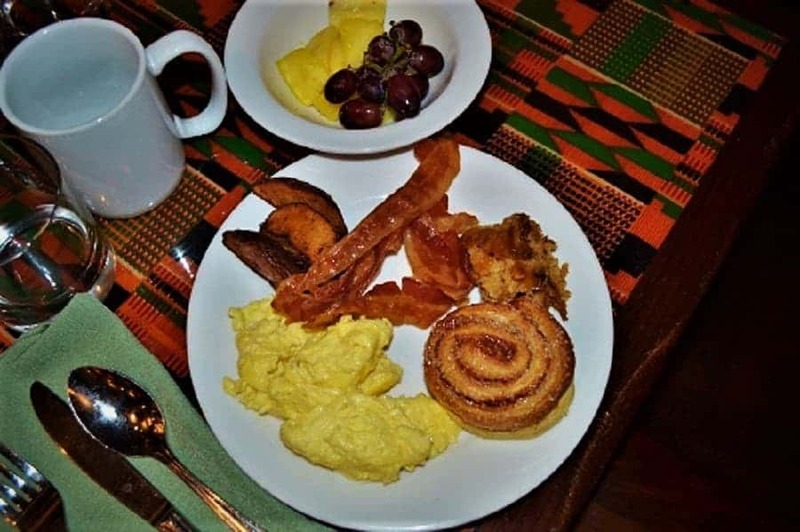 As stated, on each buffet you will find that some of the traditional African dishes mixed in with the American. Be sure to try a few things you might not usually get! This may be the only time to get to experience the food of Africa! 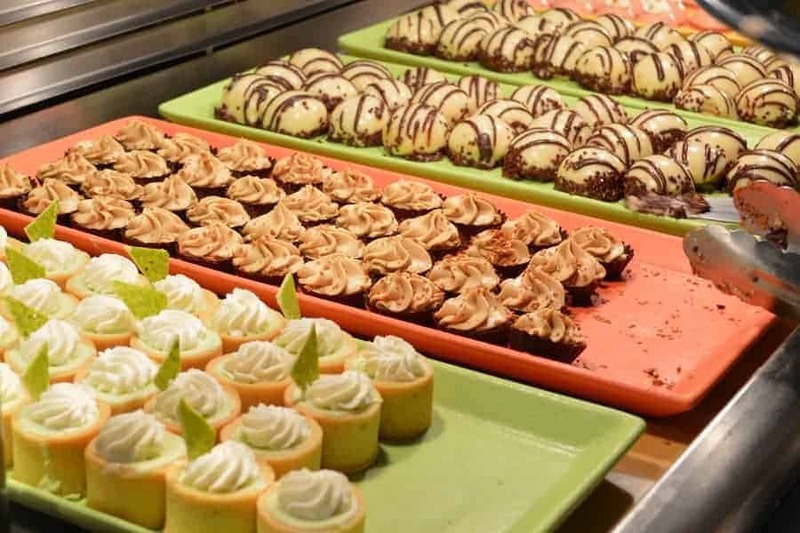 With both breakfast & dinner, you will find a nice selection of desserts! My personal favorite are the Zebra Domes! Zebra Domes are chocolate covered dessert filled with white cake and Amarula Liquor mousse. You definitely want to try one! Have you dined at Animal Kingdom Lodge Boma, Flavors of Africa buffet? Which meal did you get to enjoy? We stayed at AKL and ate breakfast here every morning(except one), food and service was excellent! Love, love, loved it!! !